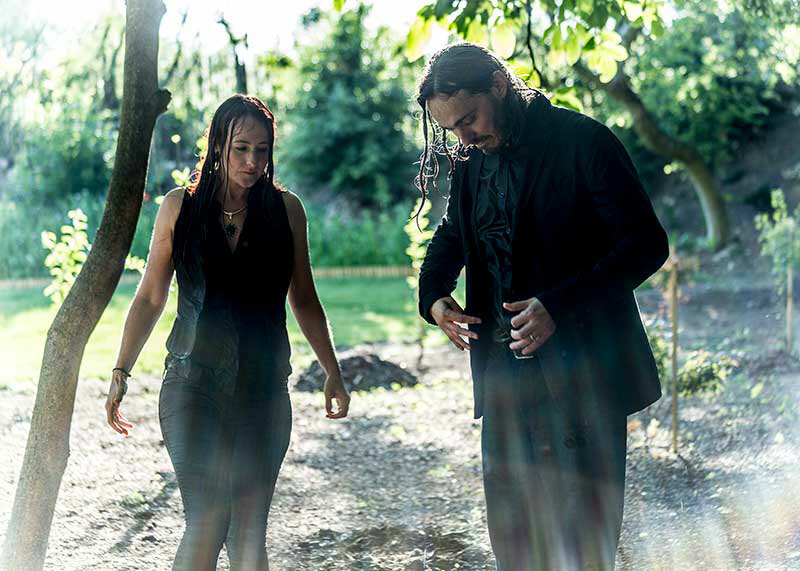 The long wait for The Black Feathers debut album is now over as Gloucestershire based duo Ray Hughes and Sian Chandler announce their arrival as a fully-fledged LP producing act. The wait hasn’t exactly been inactive as the duo did put out an EP a couple of years ago, have won over many fans with their countless live shows and possess a high profile exposition in pushing their music forward. SOAKED TO THE BONE is one of the year’s most pertinent album titles to date as The Black Feathers get right to the core of what makes a record good. There are no fake credentials to the eleven tracks that make up this release, which was initially crowd funded before getting issued on Blue House Music. This is an exciting album packed full of great tunes, sumptuous harmonies and a writing style that aches with heartfelt sincerity. Ray and Sian have intimated at once dabbling at trying to crack mainstream pop with their writing, but regardless of any success in that direction, this album wouldn’t have surfaced and the world would have been a poorer place. The husband and wife team own this record from top to bottom, give or take a few pennies donated to Bob Dylan, and while the hooks are plentiful, a real depth to the feeling can only be revealed on a record without compromise. These hooks are most prominent on two stylish feel good numbers with one being a touch ironic. ‘Down to the River’ has been awarded the status of album preview track and this highly infectious vibrant song possesses a dark undercurrent in its lyrics. There is no harm in focussing on this and the’ no messing about’ album opener ‘Take Me Back’ which springs into action as a ballsy fiddle induced number as soon as you hit the play button. However there is so much more to this record which needs exploring. Ten of the eleven songs are credited to the writing of Ray and Sian with the odd one out emerging from a songwriter with a promising future. Putting irony aside for the moment, the version of ‘Make you Feel My Love’ makes a strong case for reclaiming this song for the roots fraternity. While praising the song writing of others, there are several self-penned ballads on the album awash with great lyrics. ‘Goodbye Tomorrow’ is a waltz tune for the modern ages and reveals two voices burrowing themselves into the fabric of the song. The fiddle of Anna Jenkins glows on this song, which neatly segues into two other familiar players on the record, namely the legendary BJ Cole on pedal steel and the accomplished Dobro expertise of Phillip Henry. Overall the musical input on this record is a resounding success leaving sufficient room for the real stars of the show to blossom – the lyrics and voices of Ray and Sian. The affable and widespread appeal of The Black Feathers has led to a popularity of fans spreading the breadth of the country, folk and Americana communities. While labels have their place, why not join the trendy crowd in binning genres and reflecting in the glory of the music being presented. Some folks like star associations and The Civil Wars have been banded around, but this should cease as Ray and Sian show no signs of quitting mid tour! Anyhow back to the song analysis and a few more examples as to why this album has the potential to thrive in cool circles. Swapping and exchanging duet roles amongst the harmonies is a thread throughout the record. For example, Sian opens on ‘Arclight’ which contains the fetching line ‘two shards which make a whole’, while Ray starts off the demanding track ‘Blind’ with the meaningful lyric ‘if I was born blind would you cry for me’. The duo soar in the sincerity stakes on ‘Homesick’ and bring the sound right down to a semi morbid depth for ‘Winter Moves In’ with prime responsibility being at the feet of the cello. In contrast ‘All For You’ is a jovial celebration of union with the metaphorical album title featuring as one of the lines. The song analysis has generally rolled out in some kind of sequential order as the two remaining tracks to consider are the last two on the record. ‘Spider and the Fly’ is the most left field track on the album and is a million miles away from that distant thought of writing pop songs, with its intriguing alternative tinge. Album closer ‘Clear Blue Sky’ is a more conventional ballad and probably represents a general feel that the record is not a tough listen if you desire just to taste the top of the glass. However as it says in the title, SOAKED TO THE BONE demands that you dive deep into the vaults and appreciate the inner quality that makes this a debut record to savour. The entrancing style of Ray Hughes and Sian Chandler presents a music collaboration meant for each other and this gregarious, ambitious duo have presented a forthright album uncomplicated in its appeal and incredibly genuine to its core. 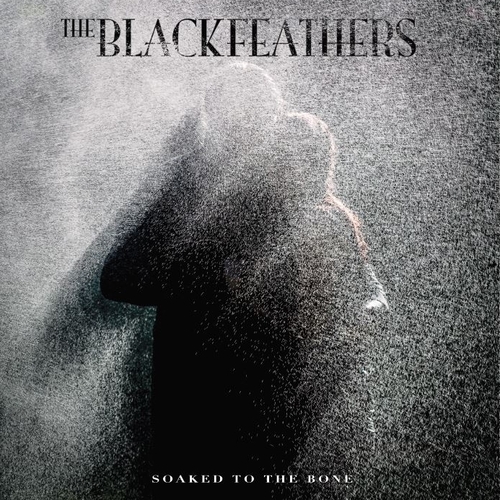 The Black Feathers have not wasted the long wait for this debut album, if anything the lengthy process has fuelled its finesse.